Since we moved to Alexandria and I’ve been cooking more at home, we haven’t been making as many trips to Eden Center. I don’t miss it now that I’m generally able to make our Vietnamese cravings. But after another killer day at the office (wait, it’s only Wednesday?! 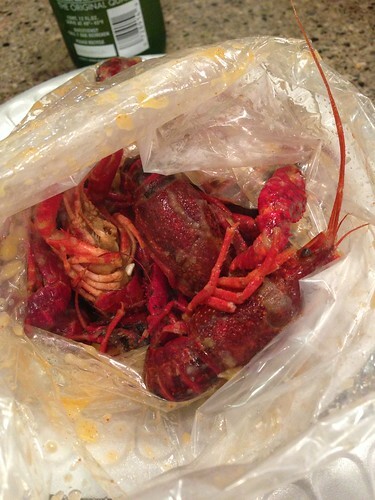 ), I was craving crawfish to make everything better and we made the trip to Seaside Crab House. They’ve changed their recipes a few times over the past year and have more recently added soup and noodle dishes to the menu. We go for the crawfish. I order medium, he gets hot, and we both ask for less garlic. One pound each. So rich and tasty (you know, like the other place – Hot N Juicy – only much easier to get to for Virginia folk). The conch salad, grilled clams and boiled snails with ginger are in our regular rotation, but today was a soft shell crab kind of night. I think the breading has lemongrass, which is an instant winner in my book. 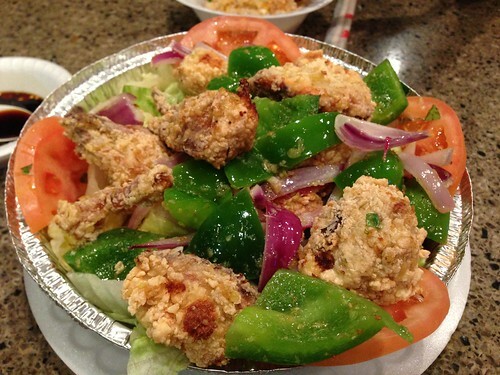 Fried soft shell crab with green peppers, onions and tomatoes on a bed of crispy lettuce. I know it isn’t the healthiest cooking method, but I really do need to learn how to fry better. It’s so damn good – from time to time. Everything seems to burn and not cook through, or get soggy. Any tips? You can’t have a full meal without rice. 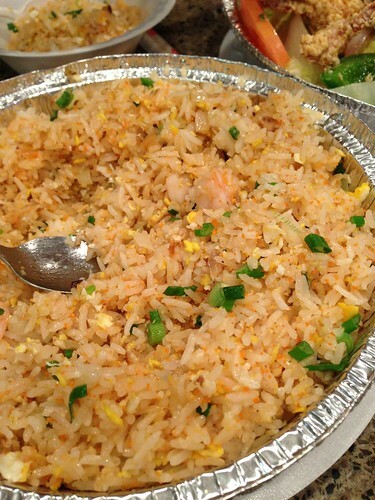 This time we opted for the combination version, but think we’ll stick with old faithful crab fried rice in the future. Theirs is tasty but not as fluffy – too much oil. I prefer Thuan’s. Combination Fried Rice – see the orange bits? That’s tasty roe. After one pound of crawfish, fried soft shell crab and rice, the work week got better. 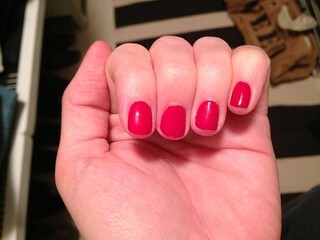 And look Ma, no chips! The restaurant is towards the front of Eden Center, between the two arches. Great place to hang out in warmer weather on the outdoor patio with buckets of Heineken’s and multiple rounds of food. Check out their lau thai (Thai style Vietnamese hot pot) on cooler days. More reviews on Yelp.